There are, by far, many more books on birds in the Southeast Asian region than books on butterflies. 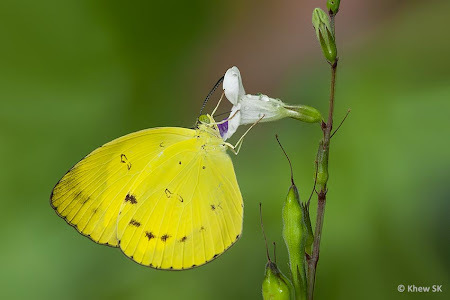 Perhaps it is because there are more competent authors who are birders besides the assumption that birders in the region probably outnumber butterfly watchers by a ratio of 10:1! Ok, perhaps I'm exaggerating, but would someone care to hazard a guess? On 24 April 2014, John Beaufoy Publishing, a UK-based publisher of books on natural history, travel and adventure, food and fiction, will be launching a new butterfly book entitled "A Naturalist's Guide to the Butterflies of Peninsular Malaysia, Singapore and Thailand". 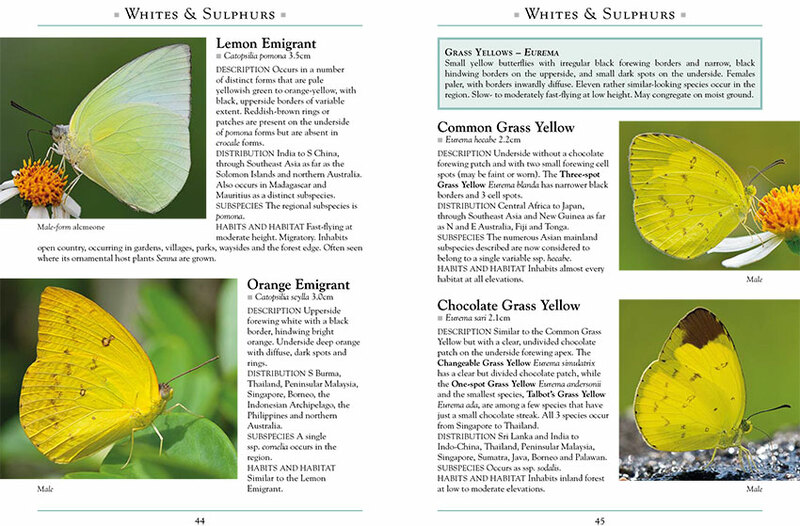 The 176-page book, authored by renown entomologist and butterfly expert, Dr Laurence G. Kirton, will be launched here in Singapore at the Gardens by the Bay. 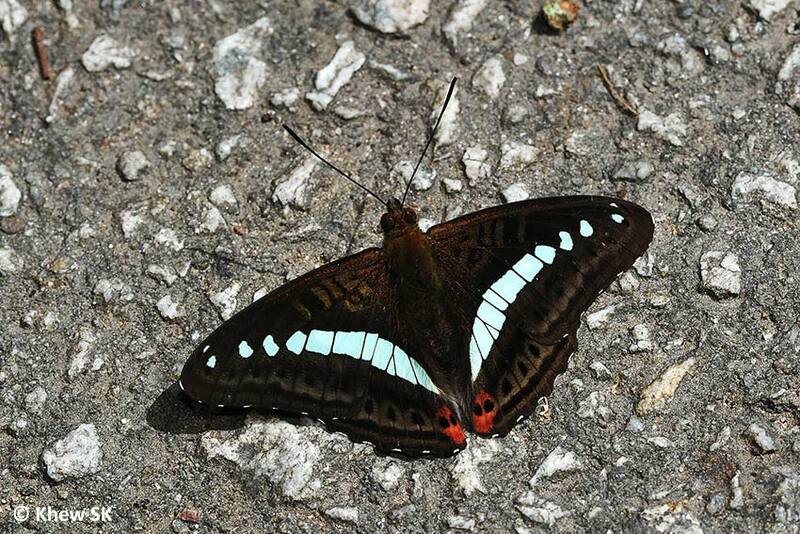 Dr Kirton, a friend of ButterflyCircle, is currently the Head of the Biodiversity and Conservation of Fauna Programme at the Forest Research Institute of Malaysia (FRIM). His interest in butterflies began in his childhood years, together with his brother, Colin, and has continued into his professional career as a researcher. Laurence holds a PhD in entomology from Imperial College, University of London, and has authored many papers on Malaysian butterflies in the Malayan Nature Journal and other publications. 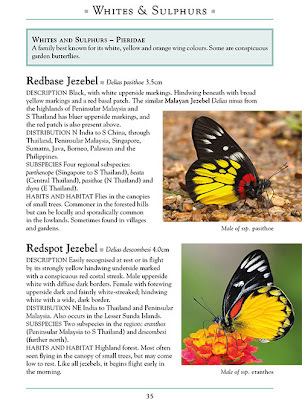 Back in June 2009, Dr Kirton gave a talk on Butterfly Conservation to ButterflyCircle members and guests at the Singapore Botanic Gardens. It was a chance meeting with Ken Scriven* up on Fraser's Hill in Malaysia some time back in August 2011 that started ButterflyCircle's involvement with Dr Kirton's book. 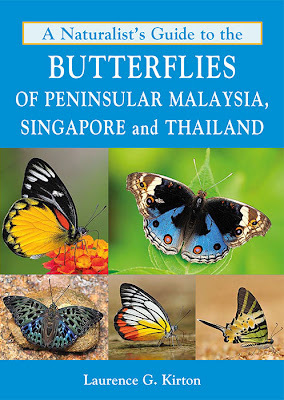 That evening, Geoff Davison from NParks, who was with Ken, introduced me as someone who had earlier published a book on butterflies in Singapore. Ken spoke to me about Dr Kirton's book, and asked if I would be able to help with providing photos for the book. Ken then put me in contact with John Beaufoy. *Ken Scriven founded the WWF office in Malaysia and was its Executive Director from 1972 to 1991. 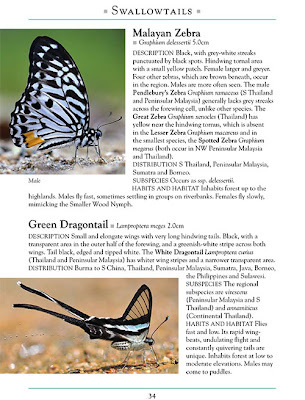 He helped found the Malaysian Wildlife Conservation Foundation of which he is Chairman. Although retired from WWF-Malaysia’s staff in 1991, Ken Scriven is still active as Vice-President Emeritus. John subsequently visited Singapore and we met over coffee near my office. 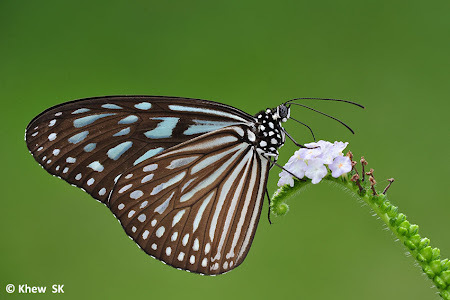 This started the whole process of helping Dr Kirton with the contacts of photographers who would be able to provide their butterfly photos from Malaysia, Singapore and Thailand. After 3 years, the book is now a reality and is already ready for sale, even before the official launch date later this month. The new book, published in the same size of the Naturalist's Guide series by John Beaufoy Publishing measures 7" by 5", or equivalent to 5R in the standard photographic paper size. The book contains a total of exactly 408 unique photographs, of which ButterflyCircle members from Singapore (21 members), Malaysia (2 members) and Thailand (2 members) contributed 305 photos, or about 75% of the photos in the book. 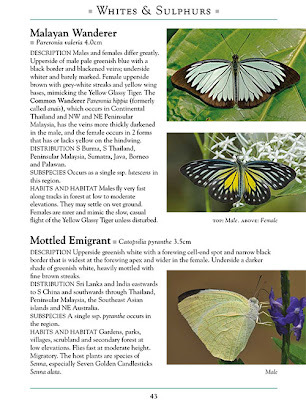 The book starts with an introduction to the countries of reference in the book, covering geography, climate, vegetation and habitats and where to go looking for butterflies in the three countries. 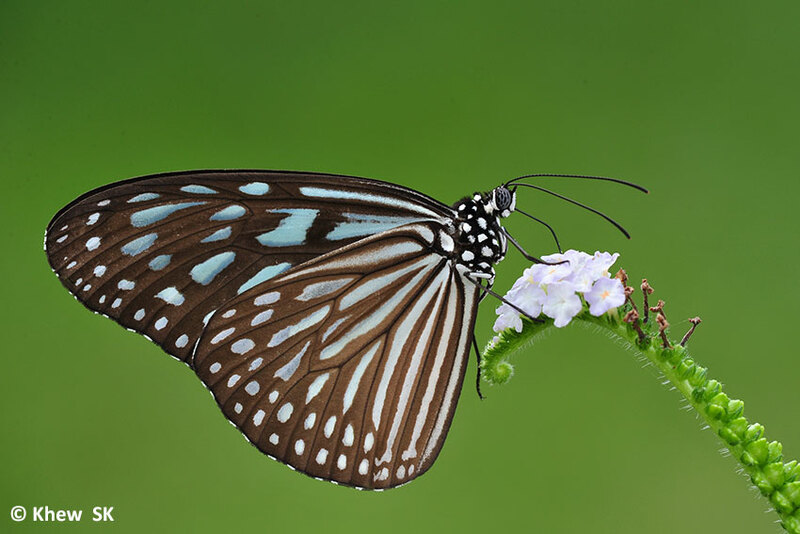 The introduction goes on to deal with butterfly behaviour, predation, defence, life history, seasonality and the biology of butterflies. 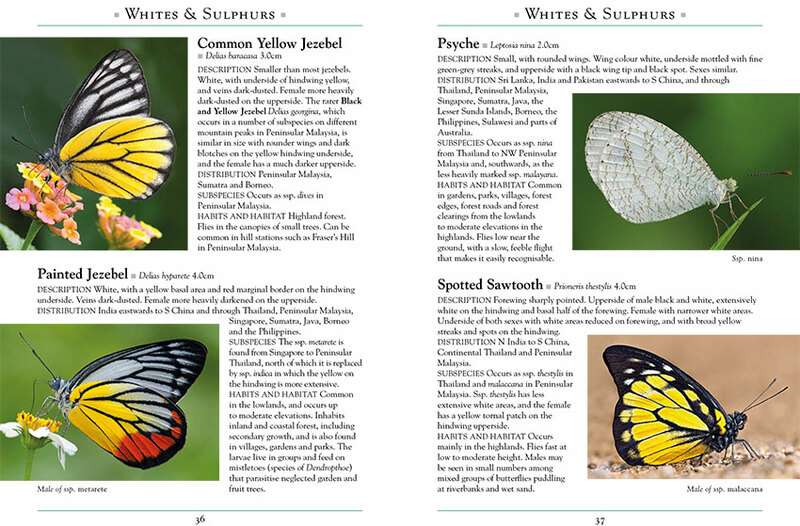 The rest of the book is organised by taxonomic classification covering the six families of Rhopalocera (butterflies). A total of 280 species of butterflies are featured in the book, with descriptions of an additional 190 species. Each species is described in relative detail - identifying features, distribution, subspecies, habits and habitats. 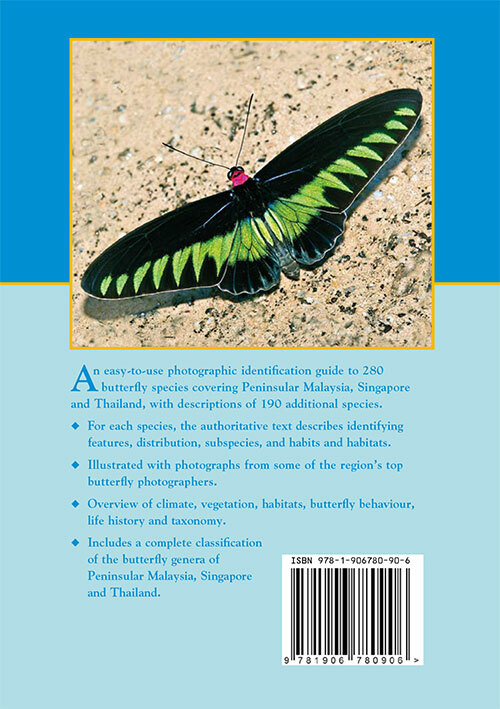 There is also a complete classification of the butterfly genera of Peninsular Malaysia, Singapore and Thailand at the concluding chapter of the book. 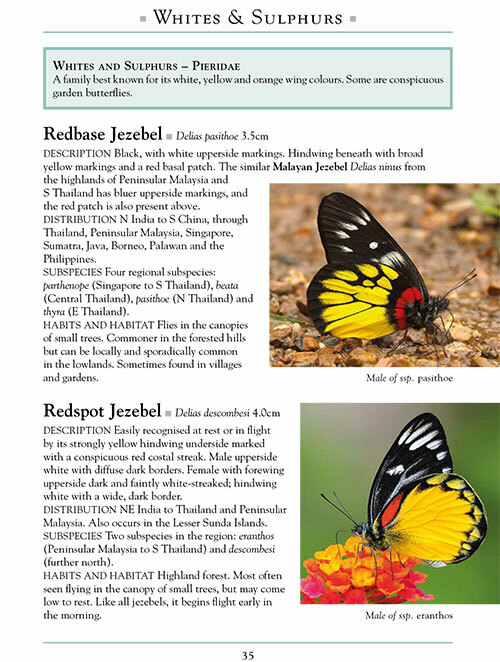 So, on the 24 April 2014, let us welcome a new addition to the references of our South East Asian butterfly fauna. The book will be sold during the launch. The author, Dr Laurence Kirton, will be on hand to autograph copies of the books at the launch, which is a private and by-invitation only event.